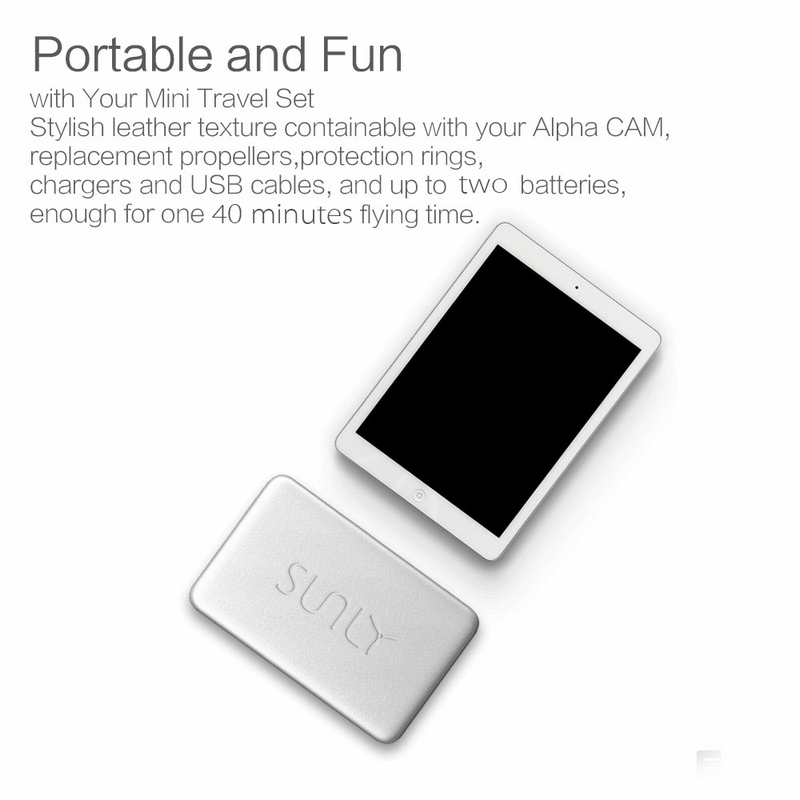 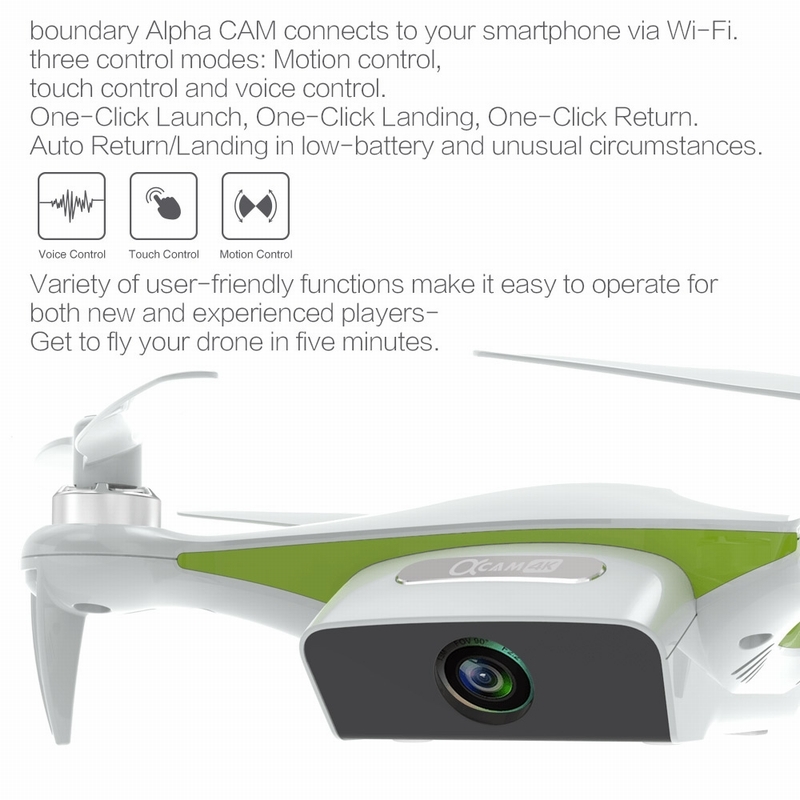 SUNLYTECH Alpha CAM is a super functional aerial photography drone with ultra small size. 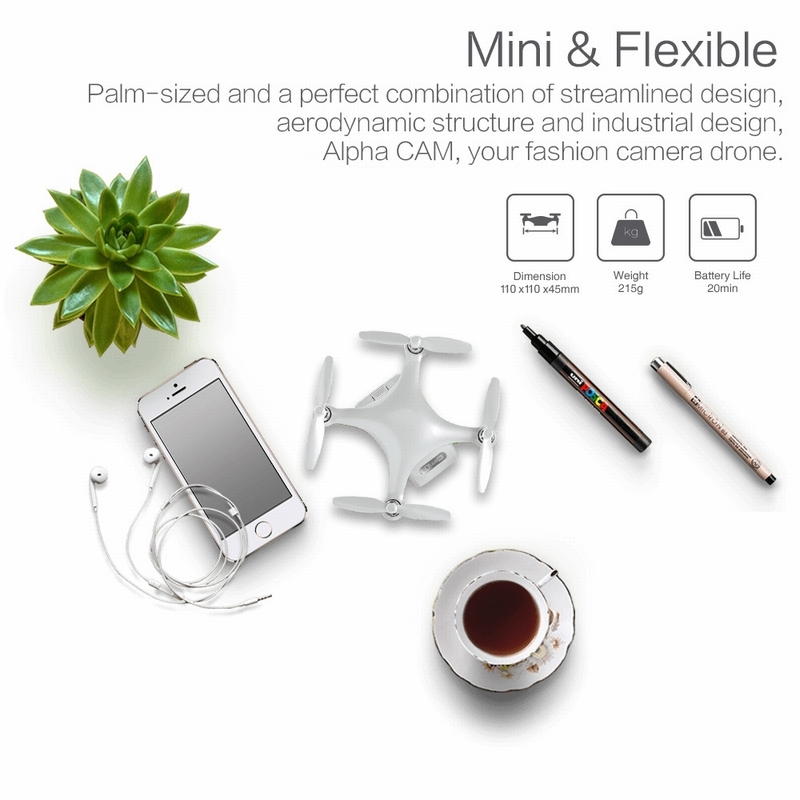 With only 11cm * 11cm * 4.5cm size and 225g weight, it's equipped with a 13MP 4K camera, with Wifi FPV function easy to get perfect selfie. 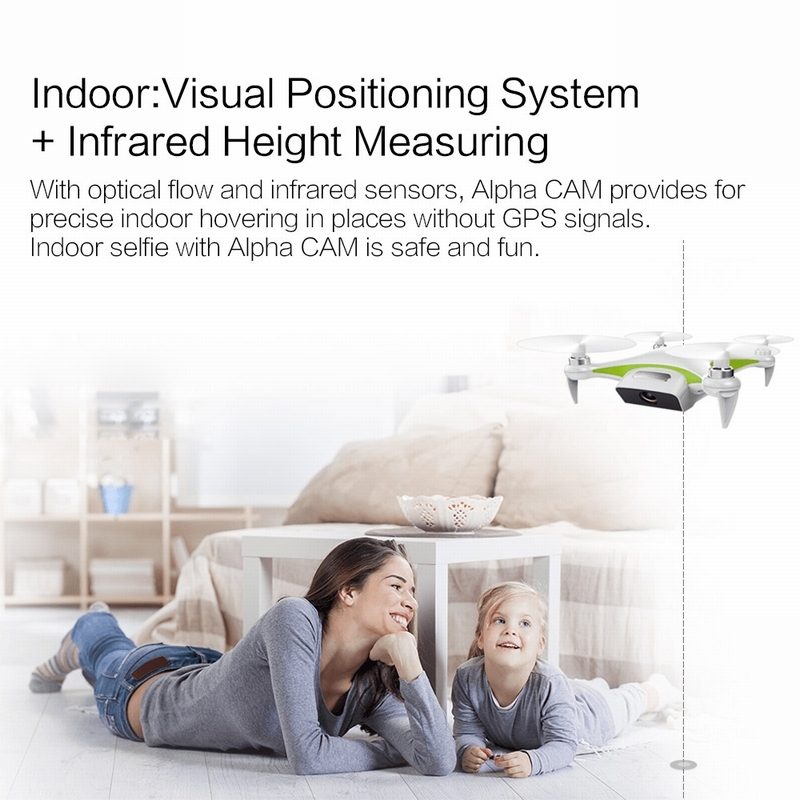 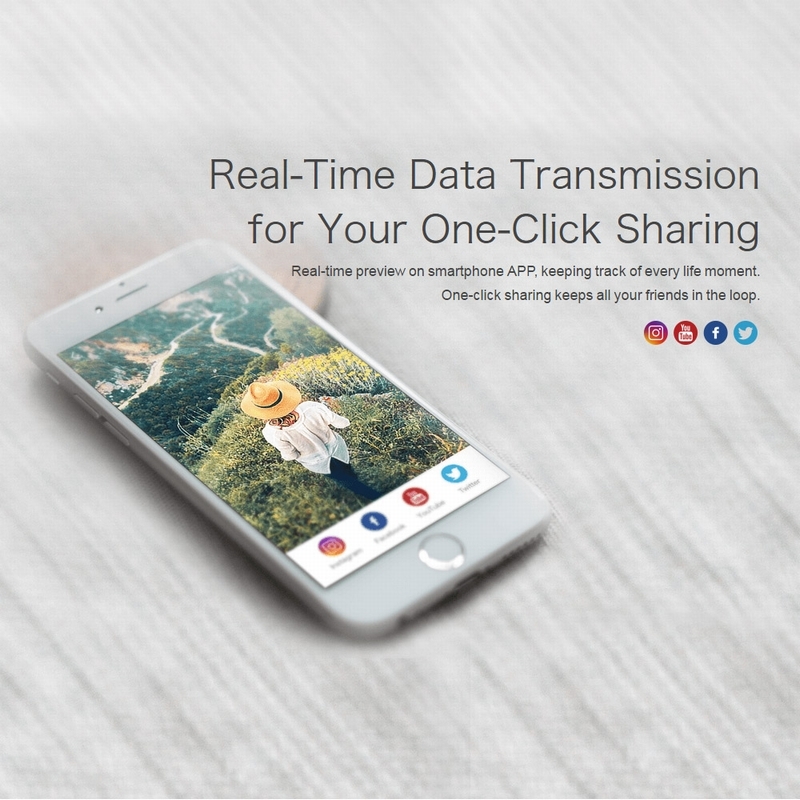 With optical flow and infrared positioning system to hover accurately indoor and dual GPS system to fly outdoor, your drone is perfectly secured. 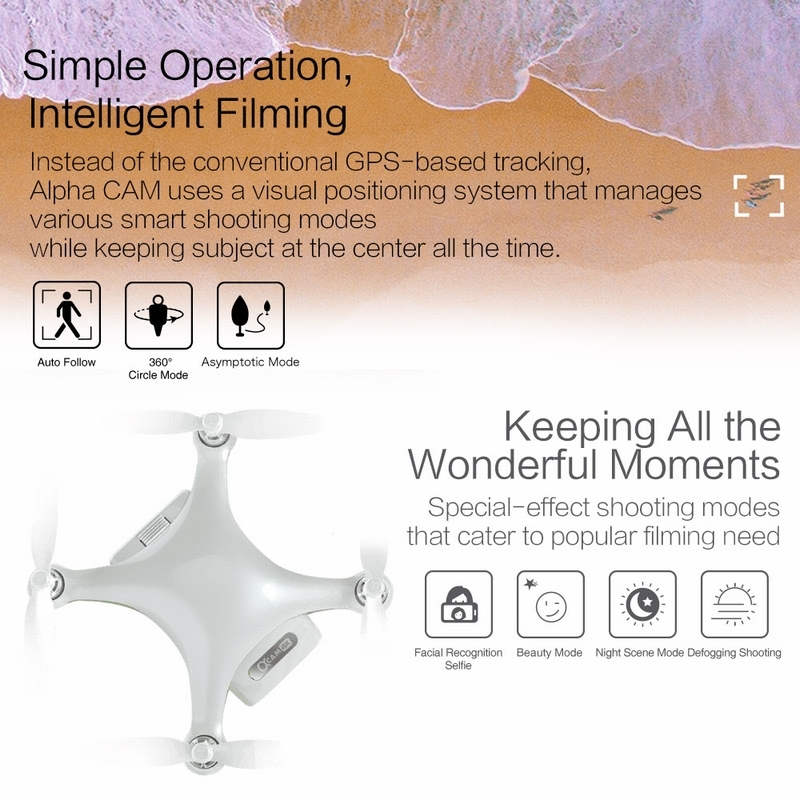 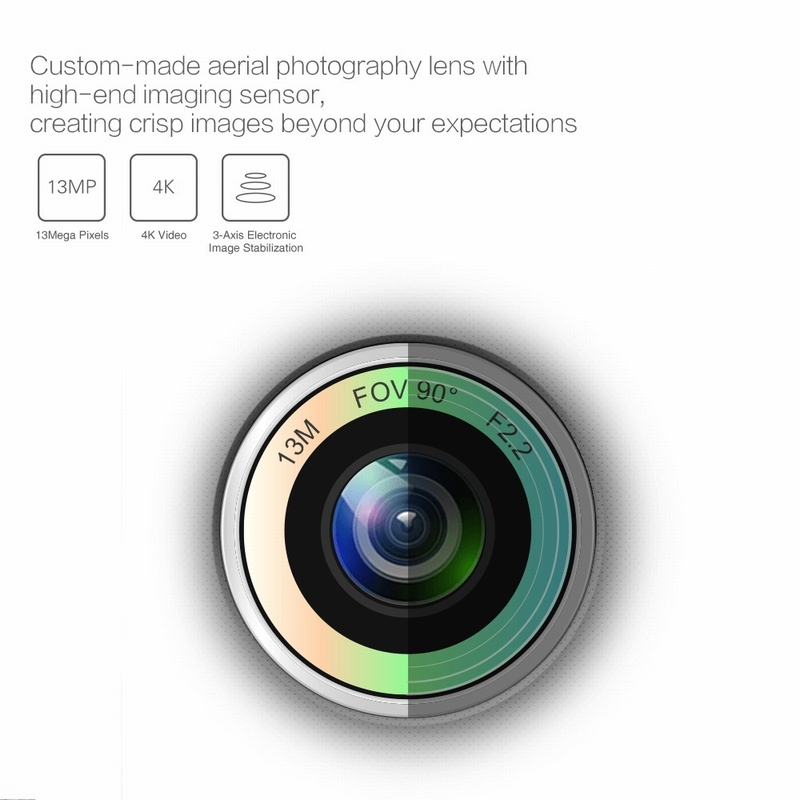 Camera with 1/3.06 inch sensor, 13MP HD camera, 4K video, 1080P software stabilized, 3-Axis electronic image stabilization, are tuned amazingly to capture stunning pictures and videos from the sky. 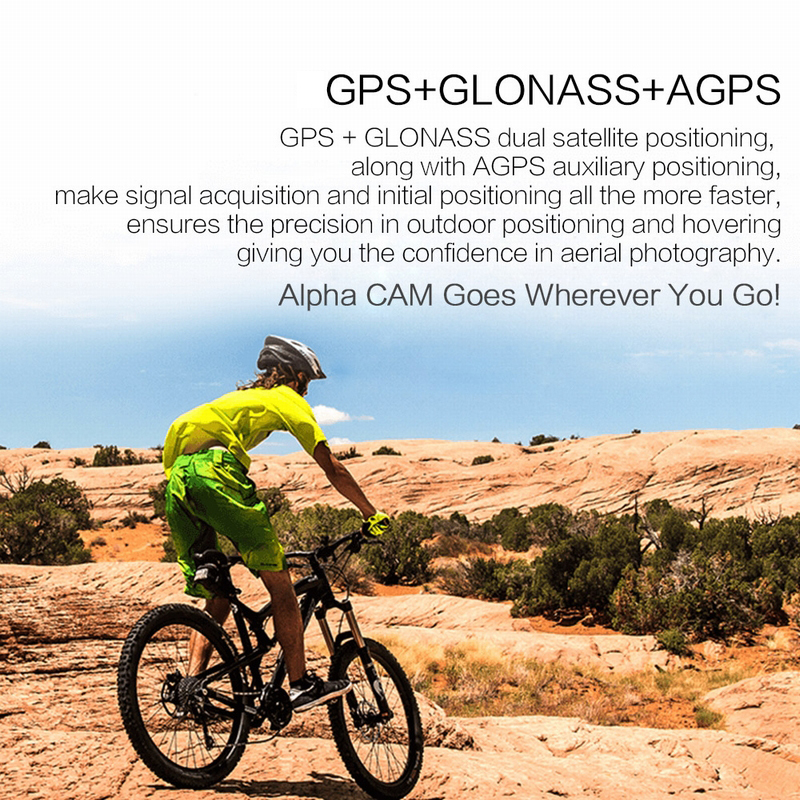 GPS+GLONASS dual satellite position, optical flow + infrared position, Alpha CAM goes wherever you go. 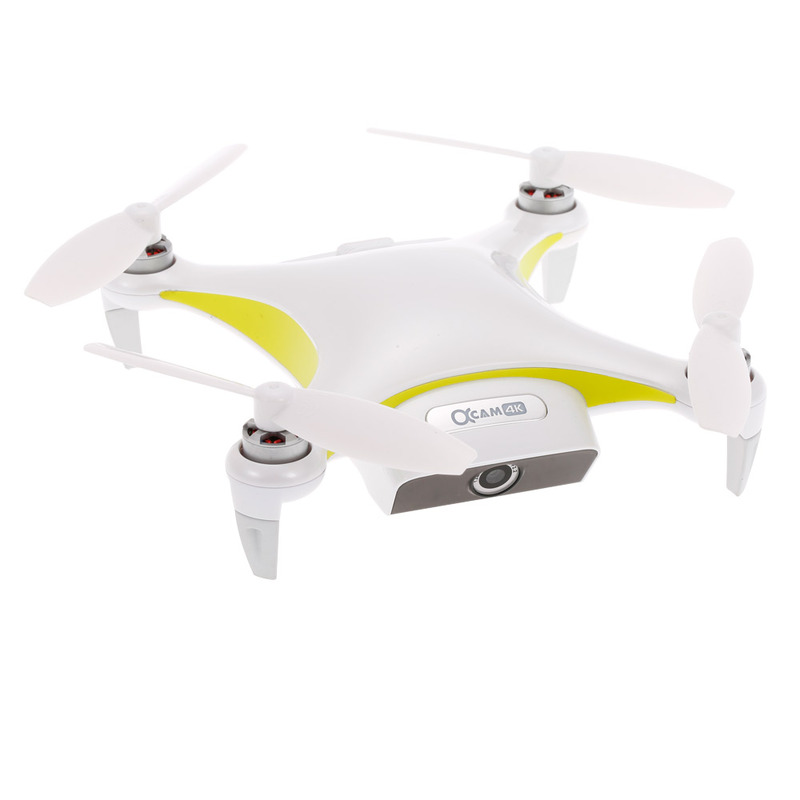 With One key take off, One key landing and One key to return function makes it easily to find the way home. 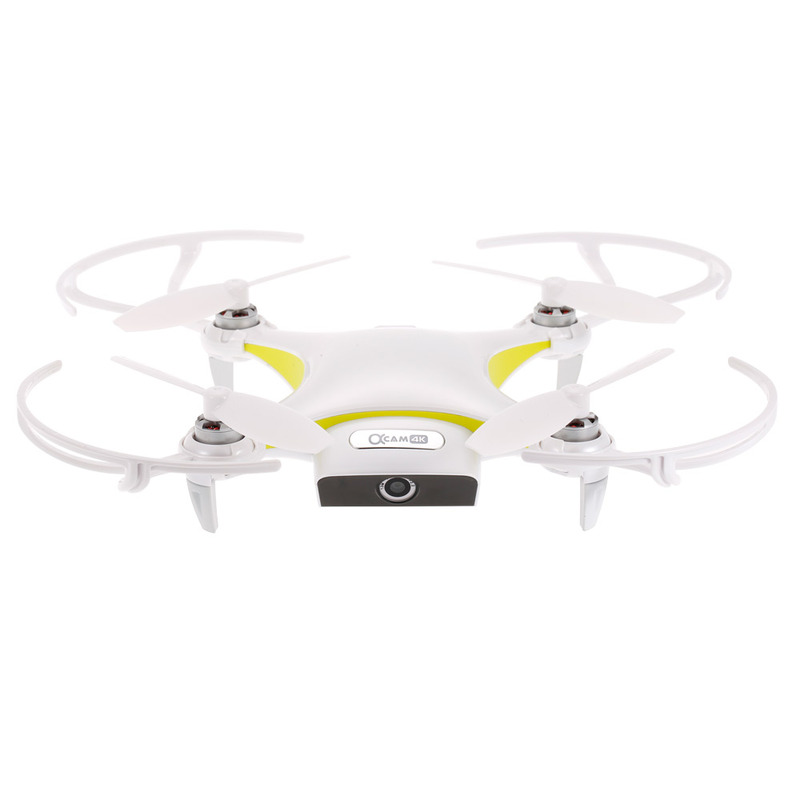 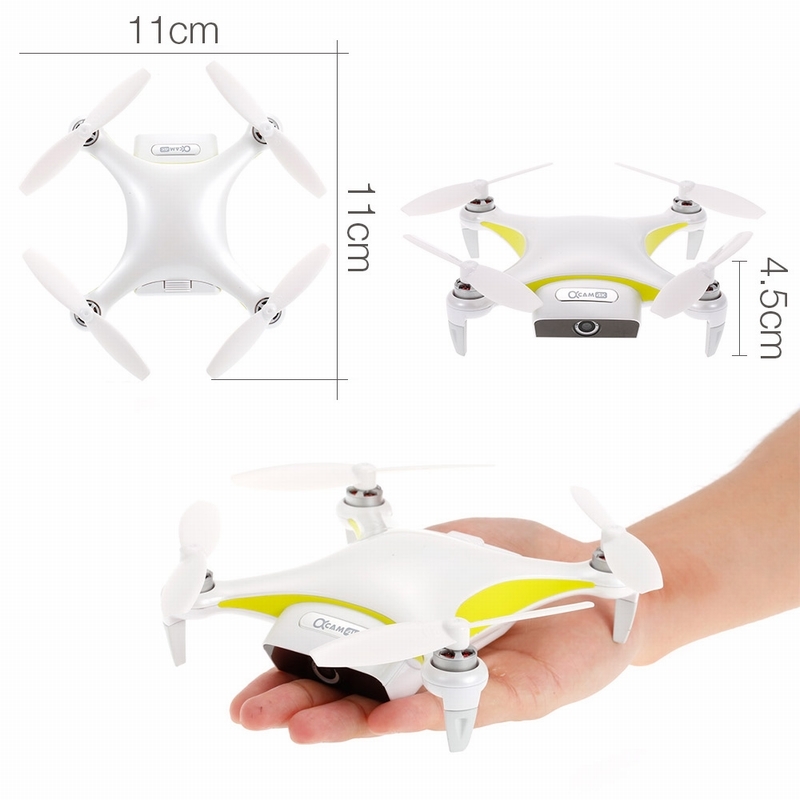 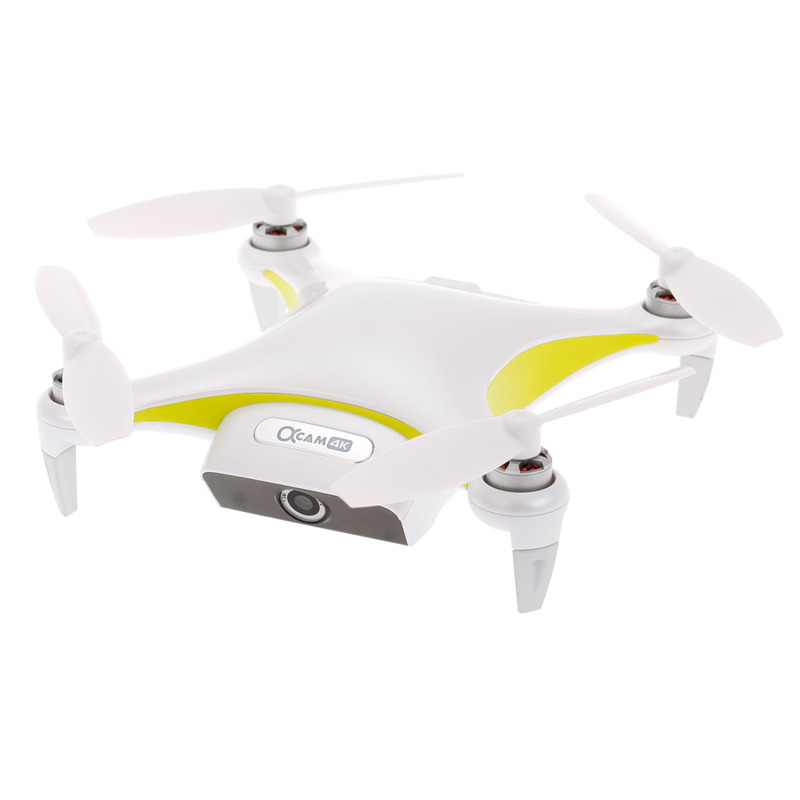 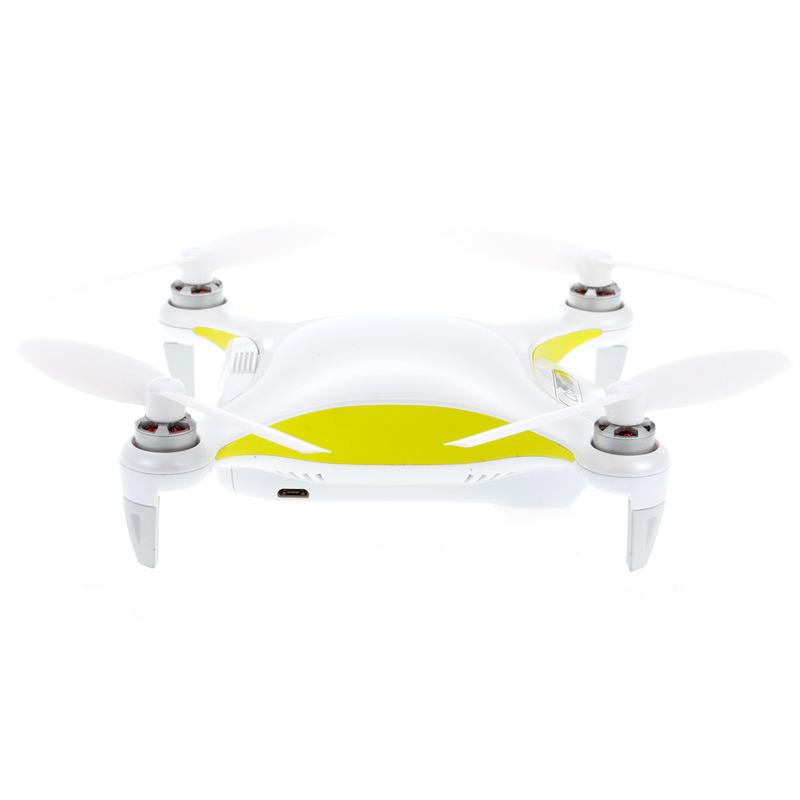 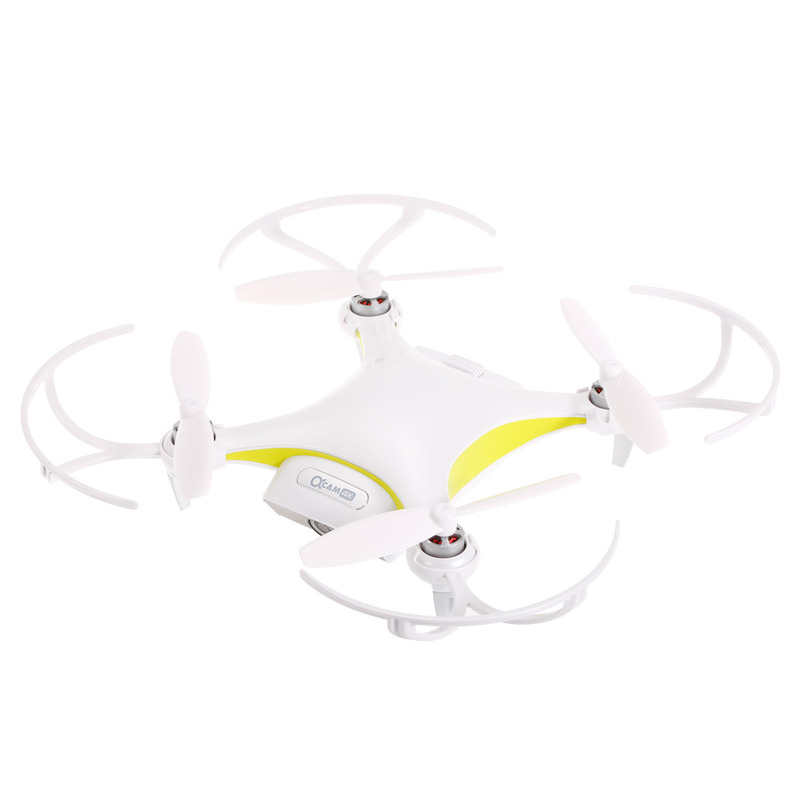 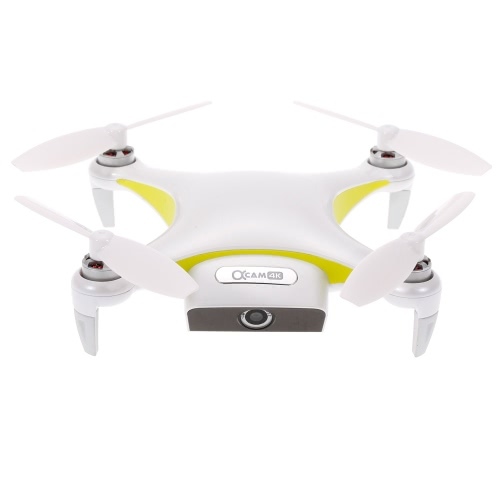 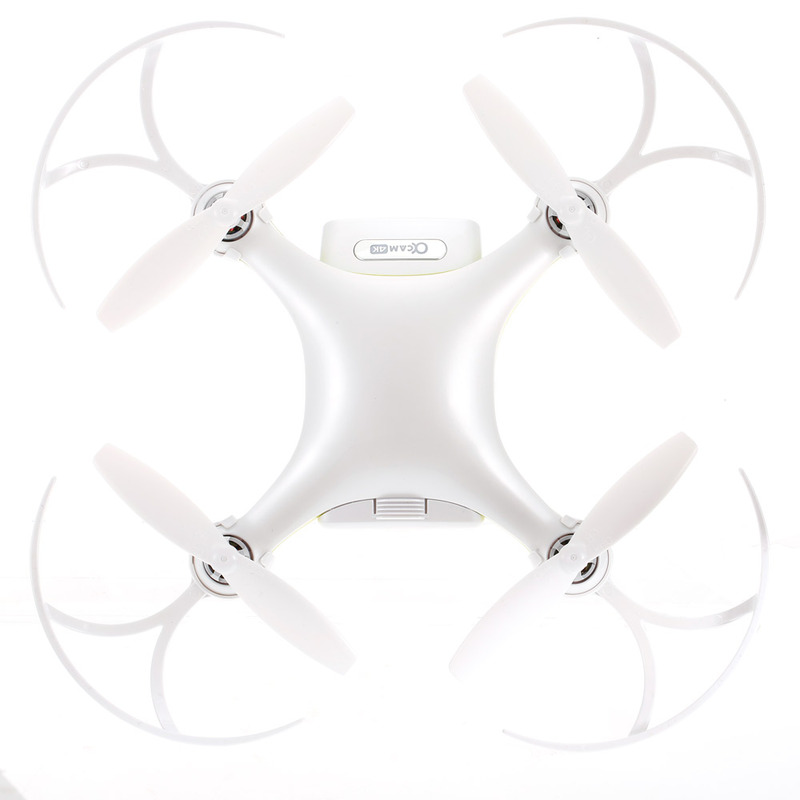 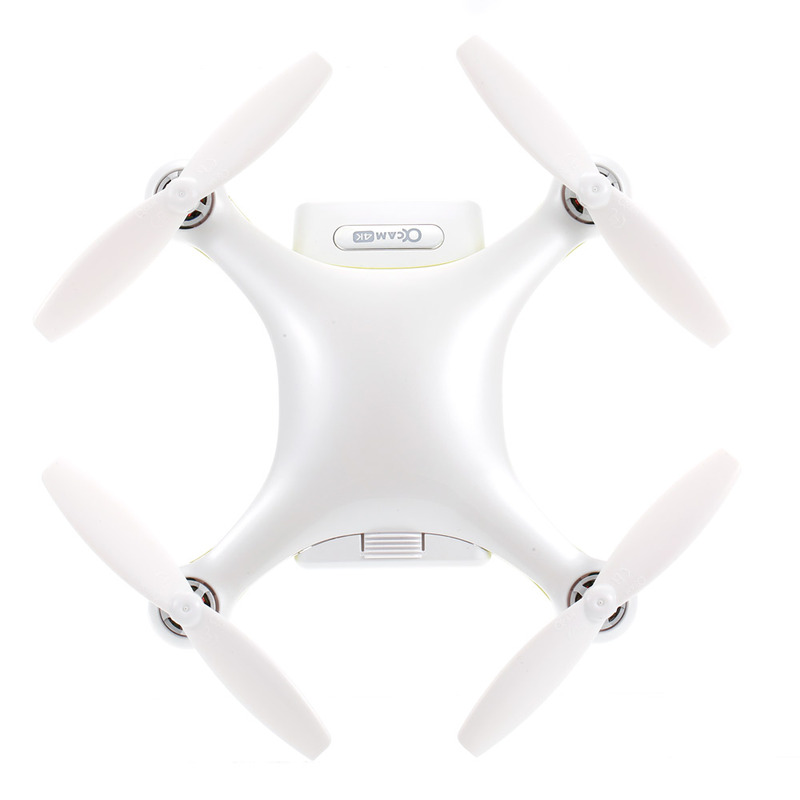 It has 3 control modes: Motion control, touch control and Joystick control that can make more fun with the flying. 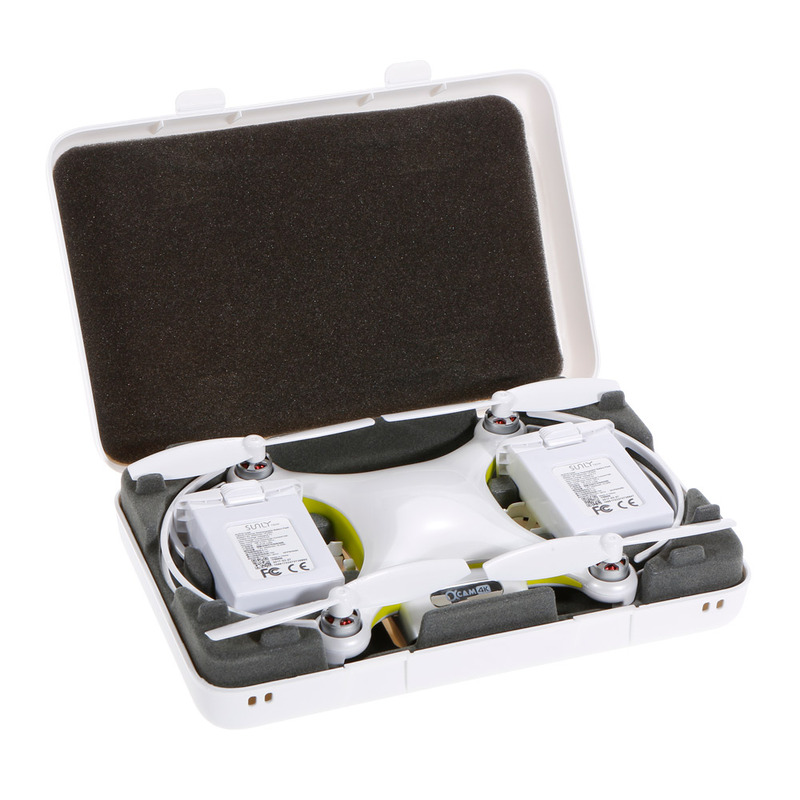 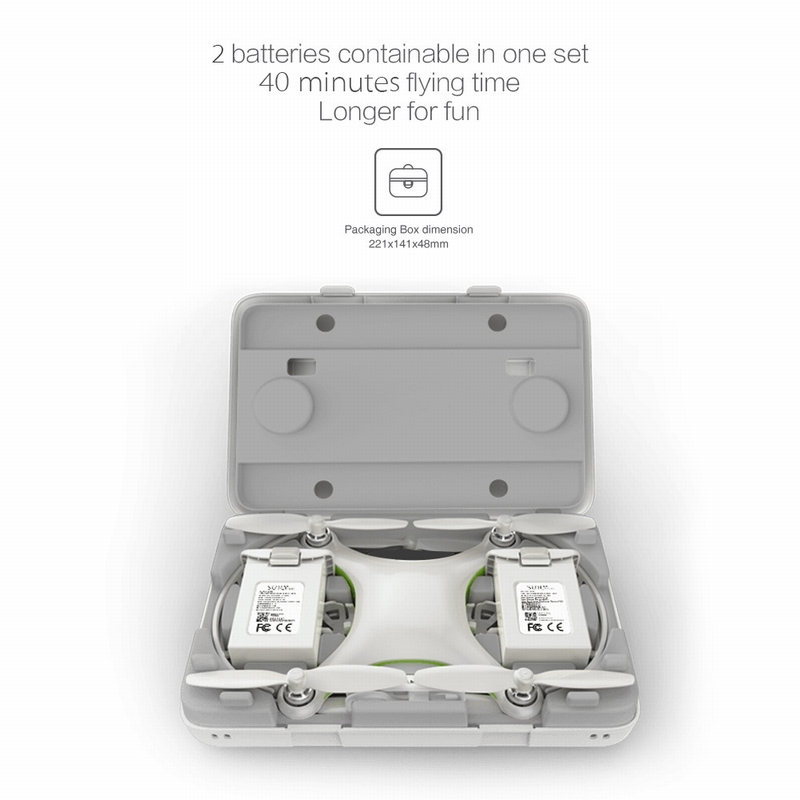 Maximum flight time of 20mins and with Double batteries, make your flight time more longer.